In our blog on 5 Top Techniques for Testing Blockchain apps, we talked briefly about the idea of “specialized testing” that is gaining immense popularity. This kind of testing requires specific skills and a blend of technical and domain understanding. Peer/Node Testing: A node is a device on the blockchain network with the ability to carry out multiple tasks such as send, receive, create or store data along distributed network routes. When multiple nodes interact with each other, they are termed as “peers” (that work the same way). Nodes talk to the network and acquire more details about the network through their peers.Peer/Node testing is essential in maintaining the integrity of the network and shared ledgers. Testing is carried out to achieve a consensus across all nodes on the order of transaction (as they are added to the network). The shared ledger needs to be precisely the same at each and every node while ensuring the sequence and consistency of transactions. Testers ensure that consensus protocols are thoroughly tested to ensure transaction sequencing. Testing is also carried out for nodes that may fail simultaneously or due to potential network issues or due to nodes not participating in network for varied reasons. Peer/node testing helps in establishing the sync between network and other validating peers. Agile/DevOps best practices in testing can help. Agile is a method of project management used for software development in which requirements and solutions evolve through collaboration between self-organizing cross-functional teams. It is an iterative approach to software delivery that builds software incrementally from the start of the project and ability to adapt to changes as fast or faster than changes occur. One of the similarities is – Agile works by breaking projects down into little bits of user functionality called user stories & prioritizing them, and then continuously delivering them in short cycles called iterations. This is something that you may correlate with the blocks being created and tested in blockchain. Even the Agile Manifesto – a) Individuals and interactions over processes and tools b) Working software over comprehensive documentation c) Responding to change over following a plan and d) Customer collaboration over contract negotiation – is something that could be corelated with the functioning of blockchain in terms of transparency, efficient and secure, smart contracts and decentralized system. DevOps on the other hand aims to facilitate the process of continuous delivery and continuous deployment by streamlining the relationship between applications – development & testing and operation team (deployment) – something similar to a node which does multiple tasks along distributed network routes. 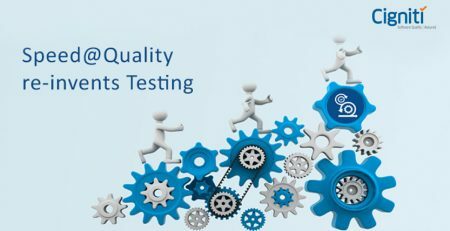 One of the other important components in DevOps is continuous testing – a process of executing automated tests as part of the software delivery pipeline to obtain immediate feedback on the business risks associated with a software release candidate. Blockchain on similar lines needs a real-time validation as everyone in the chain can see the associated details of a block in real-time. Best practices from Agile such as frequent iterations/testing and best practices from DevOps such as continuous integration testing could have a significant impact on the way blockchain applications are deployed and tested. One of the other proven approaches adopted is “Shift Left Testing” – by shifting testing to the left of the lifecycle, early tests can be performed with the option of continuously reuse. 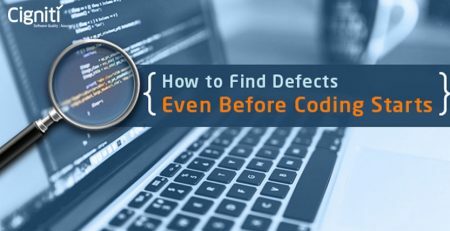 This overall approach helps to uncover defects early in the lifecycle and avoid production surprises. Blockchain is evolving at a rapid pace and brings a lot of challenges with itself. Testing of blockchain thus becomes crucial in the overall adoption and success of blockchain across the industry. To be successful in a real-world implementation and integration of Agile/DevOps with Blockchain – three main aspects must be considered – People (culture), process, and tools. At Cigniti, we are well in sync with these key aspects that can help you test Blockchain apps successfully and deliver successful outcomes. Connect with us to get interesting insights for your business in terms of Blockchain implementation and testing. Tejas is a seasoned professional with more than 10 years of experience in Quality/process/consulting and process engineering. Part of the Process Management Group in the organization and leads the Process Engineering portfolio. He is a specialist in maintaining internal and external process compliances for the organization. Tejas also likes to jot down white papers and blogs in his spare time. 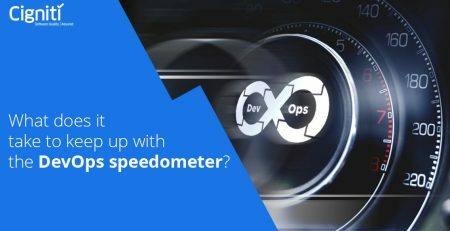 What does it take to keep up with the DevOps speedometer?